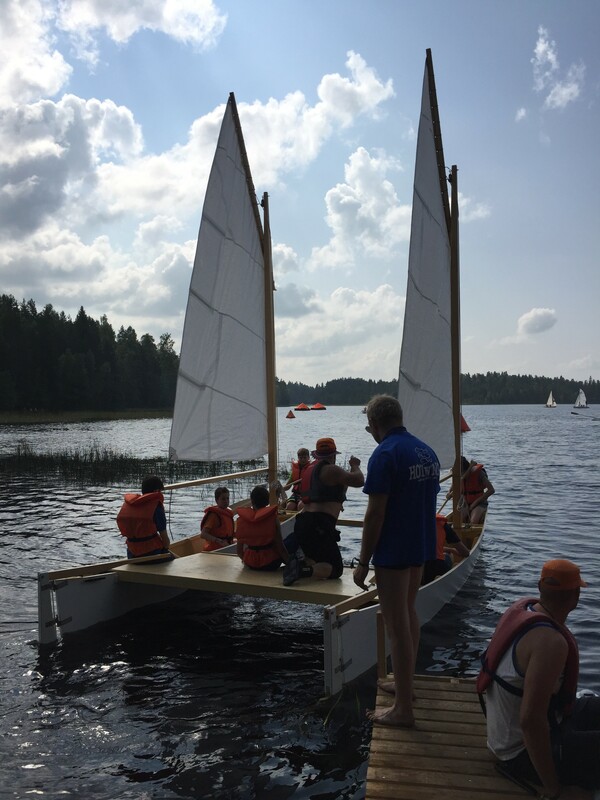 Our Summer camp this year was very special with 1st Wargrave participating in the Finland International Jamboree. 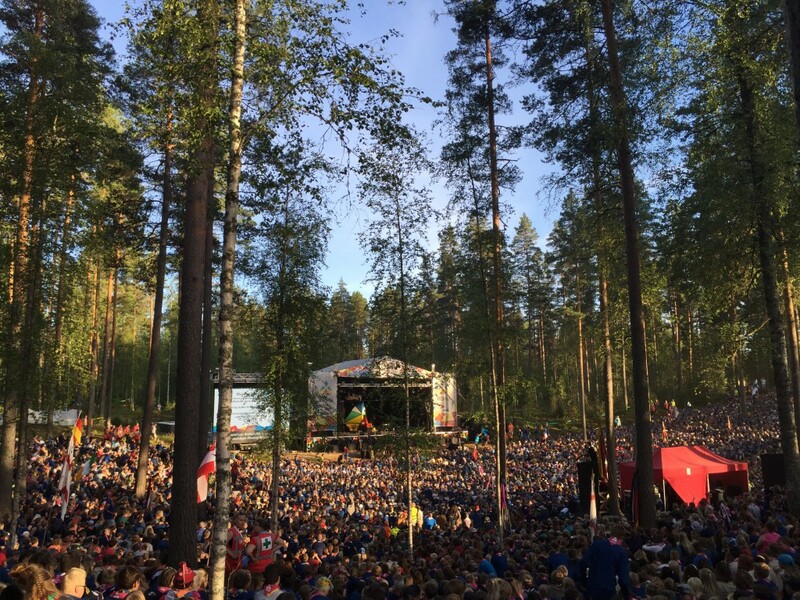 It was a truly unique outdoor immersive experience, camping in the forest with over 17,000 Scouts from 45 countries. Our group consisted of 12 young people from the village (10 boys and 2 girls aged 11-18) and 3 adult leaders Caroline Atkinson, Paul Worthington and Pete Walsh. We took 16 luggage bags, but no thanks to BA only 12 made their way to Helsinki airport, the rest were delayed at Heathrow. This meant a number of Scouts and Leaders had to wear the same clothes for the first couple of days! We discovered via Social Media that other UK troops had bags that were delayed and after numerous tweets and calls from the UK to BA (thanks Nige Board!) eventually they were delivered to the camp on Day 3! 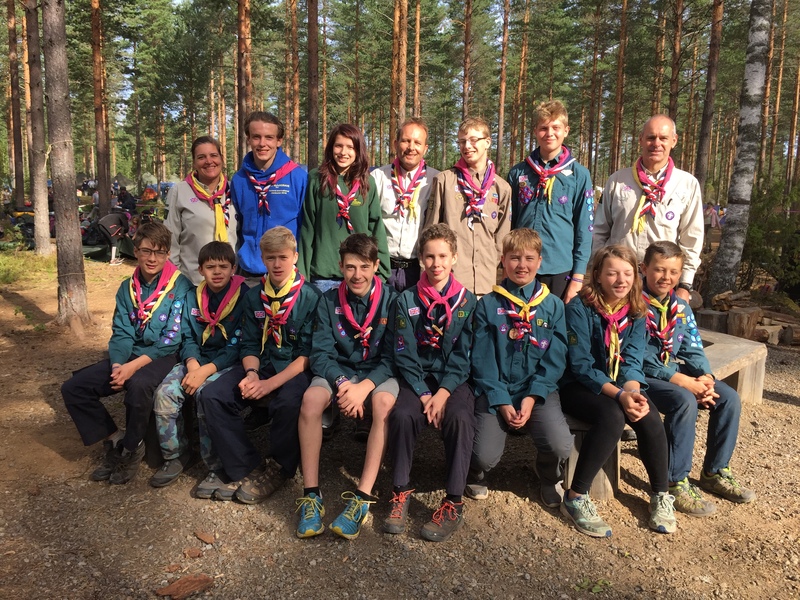 We were very lucky to be paired with an incredibly helpful Finnish host Scout and Guide Troop called 1st Toimarit. Their leaders Aino, Roosa and Ari provided us with all our tents, and quickly sourced extra sleeping bags and blankets and various kit to compensate for the delayed bags. Our Scouts were kept busy with a full programme of daily activities, providing mental and physical challenges. 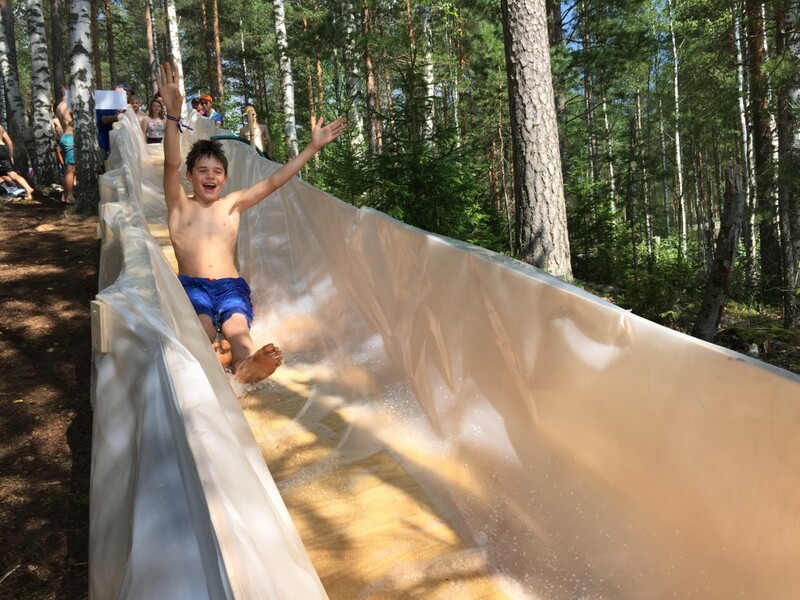 On day 2, our first full day, we visited the ‘Experience Valley’ where the Scouts completed various challenge tasks blindfolded, sang in a talent competition, and learnt how to play traditional Finnish casino games. They also constructed a tin can stove using basic DIY hand tools and cooked food in the woods then made and played unusual musical instruments out of wood and recycled materials. Throughout the week the Scouts were given the chance to learn and try out DIY construction and the importance of respecting the environment and re-using natural materials and recycling. Later in the afternoon we had our first chance to experience the traditional pastime of Finnish sauna and lake swimming! 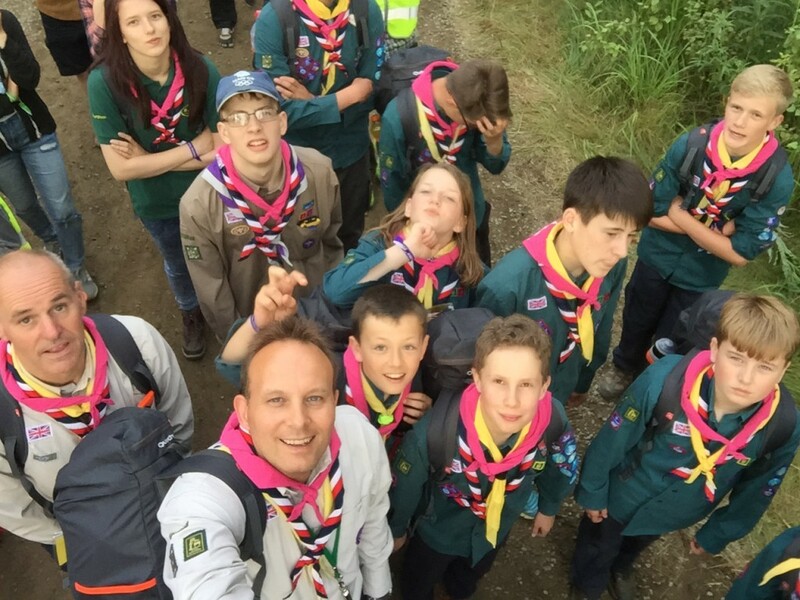 For most of the Scouts, it was the start of many ‘first time ever’ experiences for our Scouts! In summer the lakes can be quite warm at about 18C and are relatively safe being reasonably shallow and calm. The unexpected element was that they are peat bottomed which means that you come out covered in fine brown soil! After a shower and sauna, it was soon time to jump back in and repeat the cycle! Day 3 was spent in the ‘Creative Valley’ making copper amulets, painting murals, creating memes and learning about bullying on social media. In the evening we had a campfire with our Finnish hosts and sang traditional camp songs as well as telling jokes. 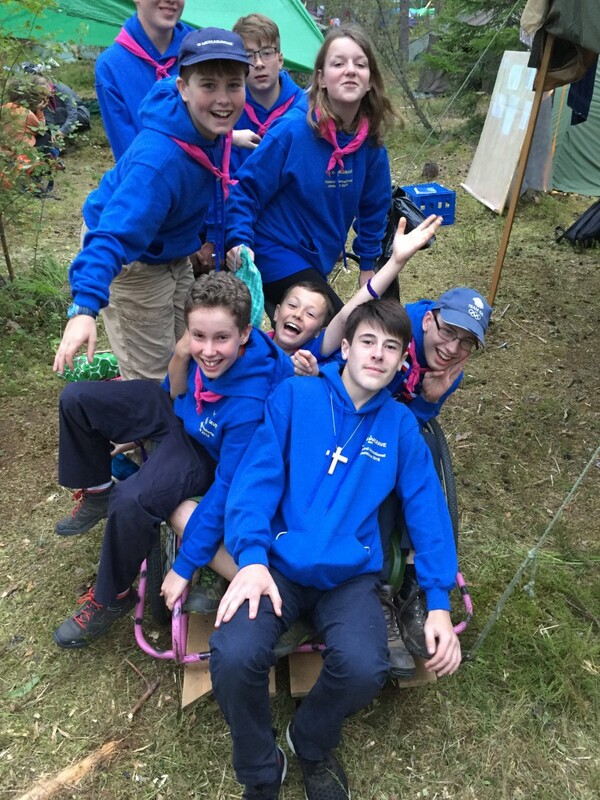 On Day 4 the Scouts spent time in the ‘About Me Valley’ learning about themselves including their abilities around organisation, accuracy, mobility, humour, and braveness. In the woods they searched for beads to make a keepsake bracelet, wrote on a comic wall, painted a giant dragon mural, and played giant football and Finnish hockey. Then they had to face their fears in a tree rope challenge. On Day 5 we had a free day with lots of time to explore the forest and the International Expo of pop-up country experiences. They enjoyed more badge swapping followed by the obligatory sauna and lake swimming! 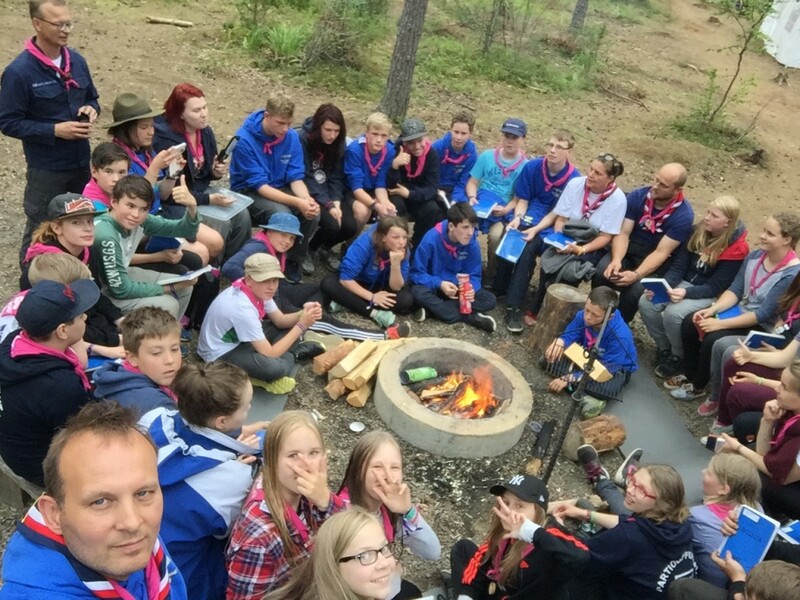 On Day 6 the Scouts assembled in small groups in the ‘Environment Valley’ where they created a business plan to build and market a product made entirely from forest materials. In the afternoon they built their products and then presented them back to a wider audience. In the evening we held our own pop-up ‘Henley Regatta’ in the forest at our camp, with two paddling pools representing the River Thames. Scouts and Guides made paper boats, and blowing through straws they raced against each other. Simple and great fun! 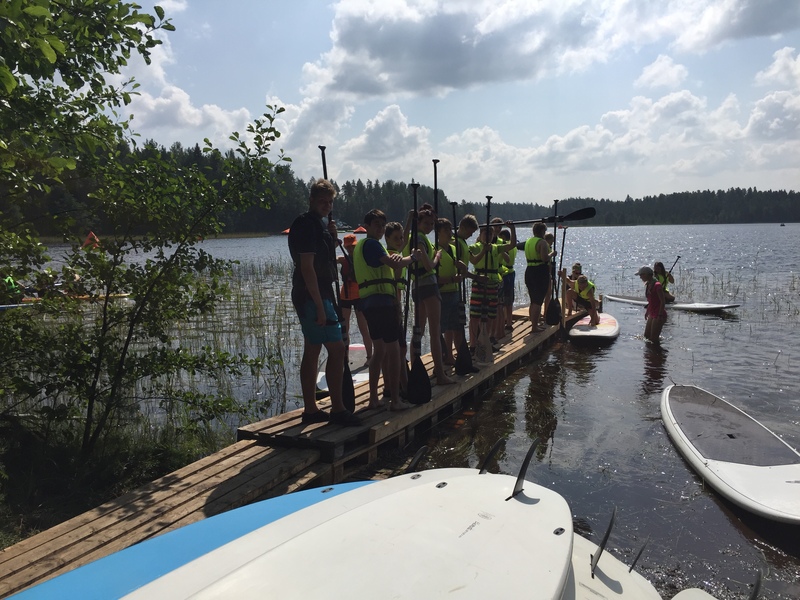 On Day 7 we were in the ‘Water Valley’, enjoying sailing, stand up paddle boarding, canoeing as well as trying out floating trampolines, water chutes, water bikes and floating saunas! On Day 8 we travelled home, exhausted but happy! 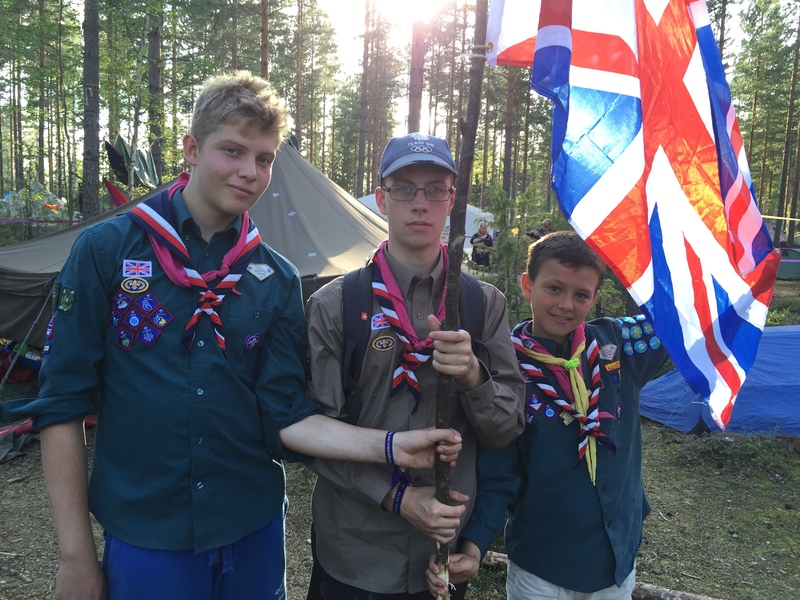 The Finland International Jamboree was very well organised, with fully catered basic meals, four times a day. There were lots of opportunities to meet Scouts and Guides from other countries with cultures very different to our own. This gave our young people a unique opportunity to talk too, and learn from, other Scouts and Guides, and to make new friends. 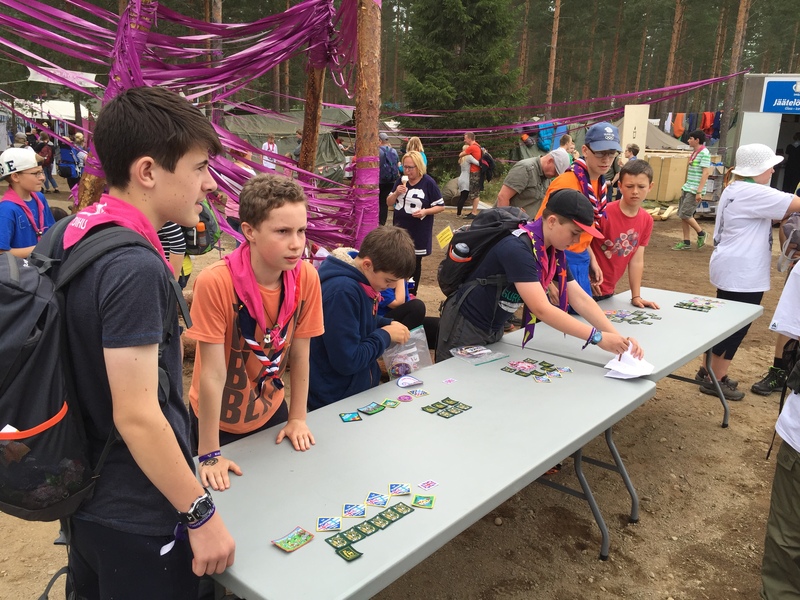 One of the Scouting activities that facilitates this is ‘badge swapping’, where people trade badges and neckers, always accompanied by a polite and thankful handshake. I’m pleased to report back that we had a good number of ‘badgers in the woods’ with lots of our Scouts swapping the 1st Wargrave Finland camp badge with groups from Canada, USA, Mexico, Oman, Hong Kong, Taiwan, France, Germany, Sweden and Spain. The opening, middle and closing ceremonies brought the whole camp together with stage shows including music, fireworks and lasers. As well as lots of singing! We made a big effort to record our adventure on Twitter (search: @1stWargrave) publishing over 350 tweets in 8 days. This was greatly appreciated by the parent’s back home and also helped raise the profile of 1st Wargrave within Berkshire Scouting, UK Scouting, and at senior levels within Scouting globally. Our daily blog post written by the boys and girls provided insight into their own personal experiences of the camp, and the new skills and knowledge they acquired that week. Overall Finland this was an unforgettable experience and our Scouts will have lifelong memories of the 2016 summer camp. After 2 years of planning and fundraising we all agreed it was well worth the effort. 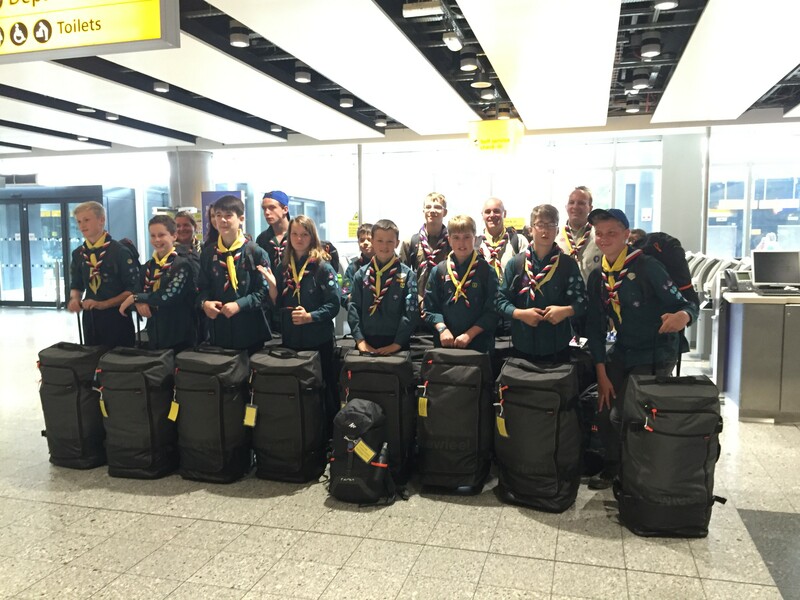 Many of our Scouts were so inspired by the trip that some hope to apply for a place at the next World Jamboree which will be held in River Gorge, West Virginia in 2019 – a chance to meet 50,000 Scouts and Guides from over 100 countries. 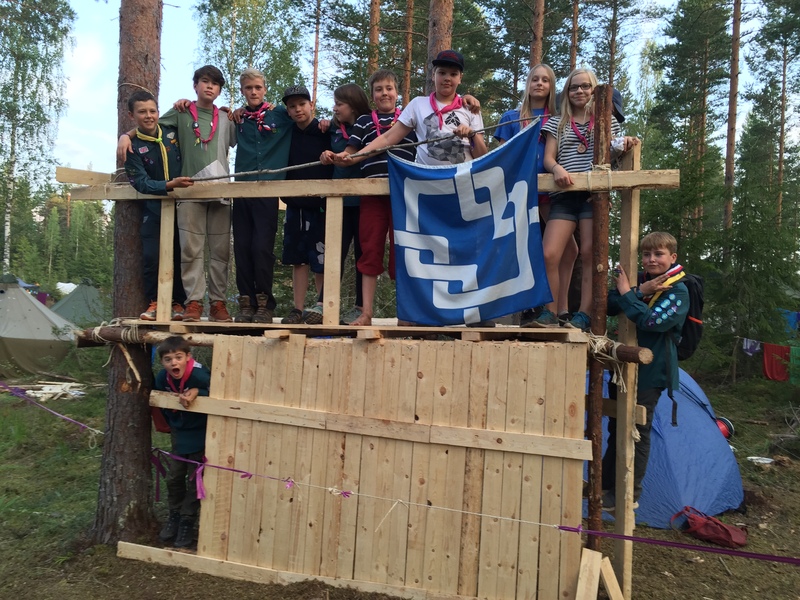 I’d like to thank all of the Scouts and Leaders who were involved in the Finland trip. Special thanks is due to our Exec Committee who provided a group funding contribution that coupled with the parent and Scout fundraising, made the trip possible. 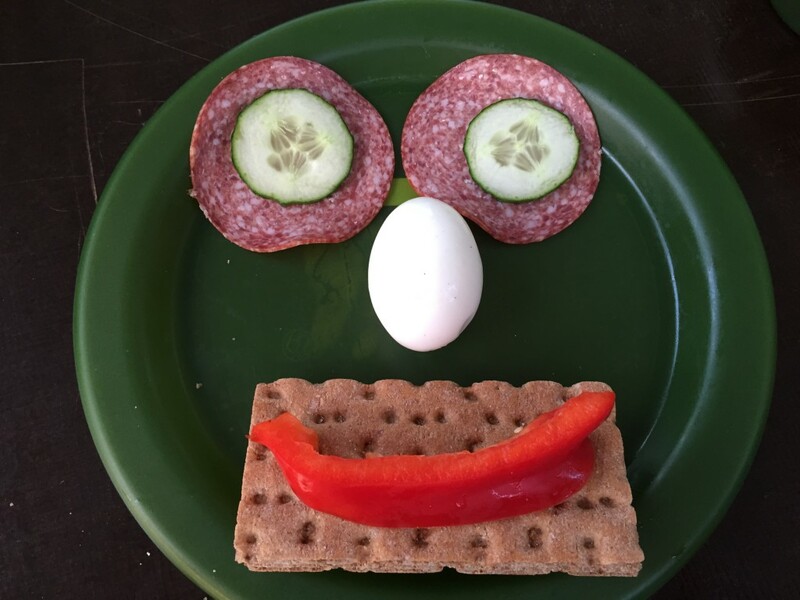 ← Day 8 – Global Activities in Finland. Day 9 – We Travel Home!